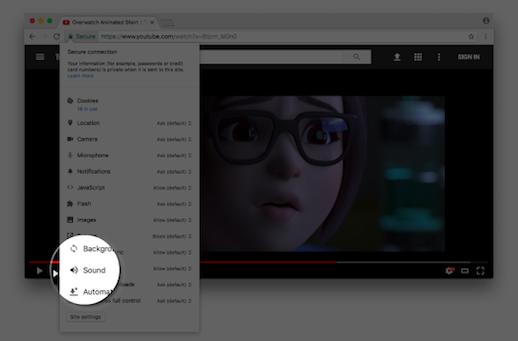 Chrome's developers are testing a permanent mute for Websites that insist on running autoplay videos the instant they load. Having a loud car advertisement or “listen to our editor talk about this story you're trying to read” is a scourge for those who vist sites to read text, and that's why Chrome's François Beaufort posted this brief announcement of the feature-test. As privacy researcher Lukasz Olejnik noted on Twitter, there's a happy side-effect of the auto-mute, if it makes it into the stable release: it would let users kill-off “ultrasonic tracking”, at least on pages they view in Chrome. Olejnik pointed to a request he made in 2015 that the Web Audio API should incorporate automatic muting so users could kill ultrasonic beacons.